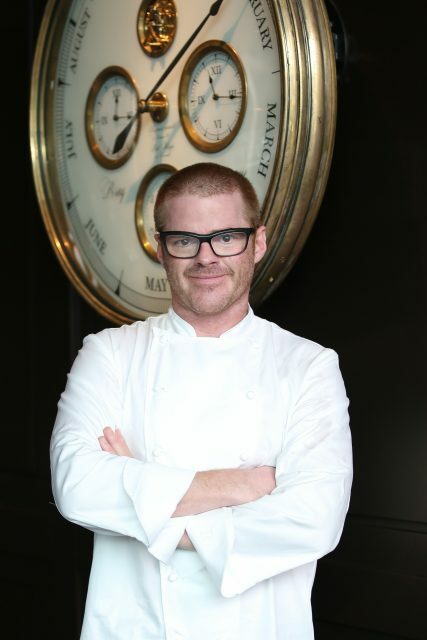 Best known for his quirky, three Michelin star mothership, The Fat Duck in Bray, wacky chef Heston Blumenthal also owns an adorable pub dating back to the 1400s called The Hinds Head in the same village, which boasts one of the best Scotch eggs on the planet, served with mustard mayo. The molecular gastronomist took over the pub in 2004, adding the 16th century Crown Inn to his collection in 2010. The food at The Hinds Head is top drawer – the pub boasts a Michelin star. As he does at Dinner, Blumenthal shines a light on forgotten British recipes due a revival. Begin with devils on horseback and mango chutney, then move on to snail hash on toast with caper berries and pickled walnuts; followed by Earl Grey tea smoked salmon with sour cream butter. But be sure to leave room for Heston’s famous cherry Bakewell tart with yoghurt ice cream.